Not a vampire in sight, however one might presume that Buffy would be just hanging out side stage just in case. We are just a few miles from her home town of Sunny Vale, Ca. No, you say? My bad, Sunny Dale does almost sound the same . Why the hell would we need a skinny blonde girl anyway? We have a bald bloke with a beauteous beard, who is built like a brick bathroom and a six foot plus dude with hair Rapunzel would be envious of. The reference is of course to Kerry King and Tom Araya. Members of one of the big four for 30 years and still providing a service to the metal head along with a dis-service to the eardrums. As the crowd comes alive it is noted that a Slayer fan must be dedicated. Much more so than most. 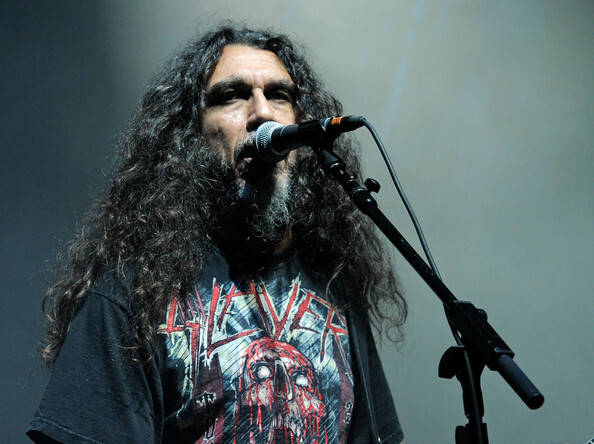 Slayer is fast and fluid and to understand and/or decipher song lyrics must be a labour of love. But they are here, the Slayer disciple. Shaking their fists and banging their heads and rattling off words that will forever remain a secret to non-worshippers. Of course thereare those outside the venue who are not happy at another type of non-worshiper, but then their band leader, would probably have not made many friends here, so they were wasting precious time, energy and breath. 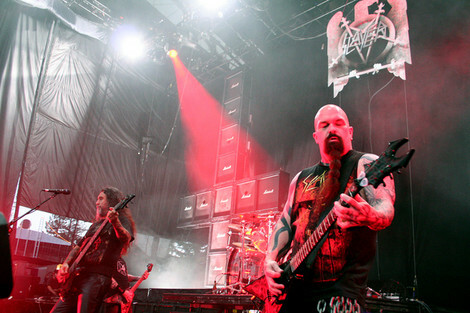 Slayer give the music fans what they want, a sermon in things that do not require baptism, drinking of wine and prayer. Well, not in a biblical sense at least! 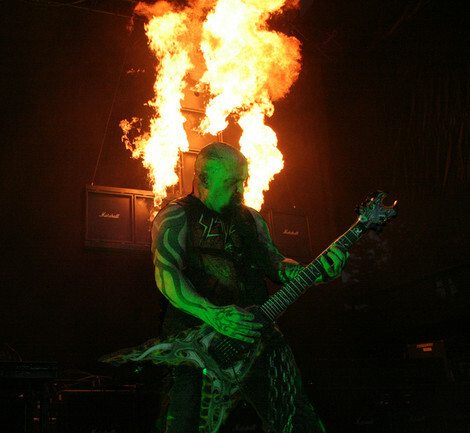 Upside down flaming Marshall Amps hanging from the stage scaffold and are set on fire at various intervals during the show. The heat can be felt at least ten rows back from the stage. A sneak peak at the afterlife perhaps? Blazing, burning, guttural screaming, fist shaking and head banging, just over an hour of forget it all and say what you think. A much needed freedom for the fan, once again proving to Slayer that they remain relevant. They bring it well and they are well aware. No silver bullet for this band just yet.